Want to learn about solar power? 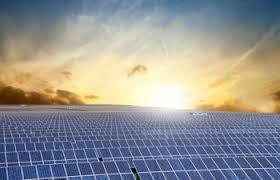 The Green Sanctuary team has invited the solar power company ‘Bold Alternatives’ to present at our church on Monday, April 6th at 7pm in the Sanctuary. Bold Alternatives is the company who installed the solar array at the First Unitarian Church of Cleveland and will present about both residential solar installations and options for our church building expansion. Their presentation will be followed by a question and answer session.